This is the second in a number of planned posts with an international theme and focuses on two major hydroelectric dams which were planned in North America, but were never built. In 1981 plans for the proposed Ben Franklin Dam were abandoned following overwhelming public opposition. This dam would have flooded the last free-flowing stretch of the Columbia River – the Hanford reach. This is an 80km section of fast-flowing river between McNary Dam and Priest Rapids Dam, near where the Snake River joins. The extensive Hanford nuclear site is located here also. This is where Plutonium for nuclear bombs – including the one dropped on Nagasaki – was manufactured and it remains one of the most contaminated nuclear sites in the world. The dam’s reservoir would have raised the water level requiring the decommissioning of several nuclear reactors and increasing the risks of contamination from underground radioactive waste storage tanks. The reservoir would also have destroyed the few remaining places on the river where Chinook, Steelhead, and Pacific Lampreys could spawn naturally and also would have inundated almost 5,000 ha of other important wildlife habitats. 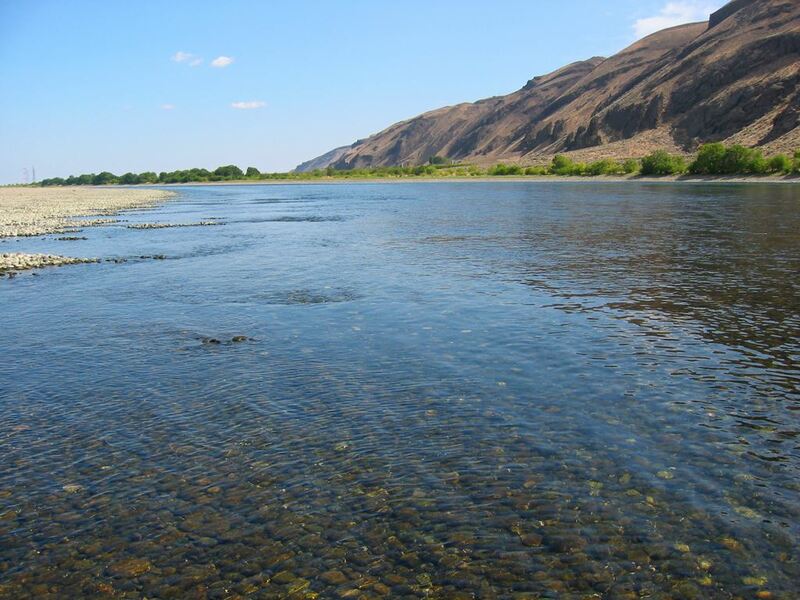 It has been estimated that up to 200,000 Chinook now spawn each year in the Hanford Reach. Even though salmon reaching here have to pass through four downstream dams (Bonneville, The Dalles, John Day and McNary), this is still the most productive spawning ground for wild fall Chinook on the Columbia River. Indeed, approximately 50,000 of the fall Chinook are spawning in a 1.5km section of the reach called Vernita Bar. Thankfully Ben Franklin Dam was never built and there are still self-sustaining runs of migratory fish in the Columbia basin and hope remains that more of the river can be restored. 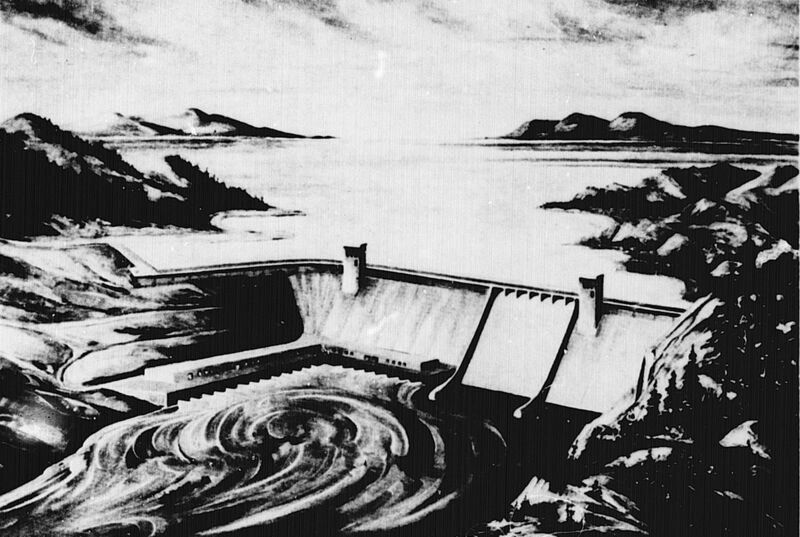 This hydroelectric development proposed in the 1950s would have dammed the Yukon River and created a reservoir the size of Lake Erie in Interior Alaska. It would have flooded the Yukon Flats – one of the most important ecological sites in the world, and blocked salmon migrations. In the spring of 1964, the U.S. Fish and Wildlife Service released a report on the impact of dam construction and said “Nowhere in the history of water development in North America have the fish and wildlife losses anticipated to result from a single project been so overwhelming“. Thankfully it was never built, and despite all it’s other problems, the Yukon runs free!